The once-feared South American country has blossomed into a full-fledged tourist destination. Colombia today constantly goes back and forth in time. 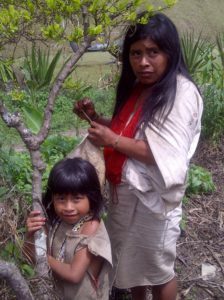 On a recent trip, I landed high up in the Sierra Nevada de Santa Marta, the spectacular snowcapped mountain range that falls straight into the Caribbean, and found myself sitting cross-legged with Kogi Indians who live as they did 500 years ago, in a cluster of thatched huts two days’ walk down to the sea. They have always felt at one with nature, but now they say the seasons no longer come when they are supposed to, and it’s hard to know when to plant. After listening to their shamans, I felt they could actually hear the earth breathe. In Cartagena I stayed in a gorgeous private villa with an enclosed jungle garden open to the sky. At breakfast, one of two resident toucans nudged my ankle with his colorful beak, looking for a handout. 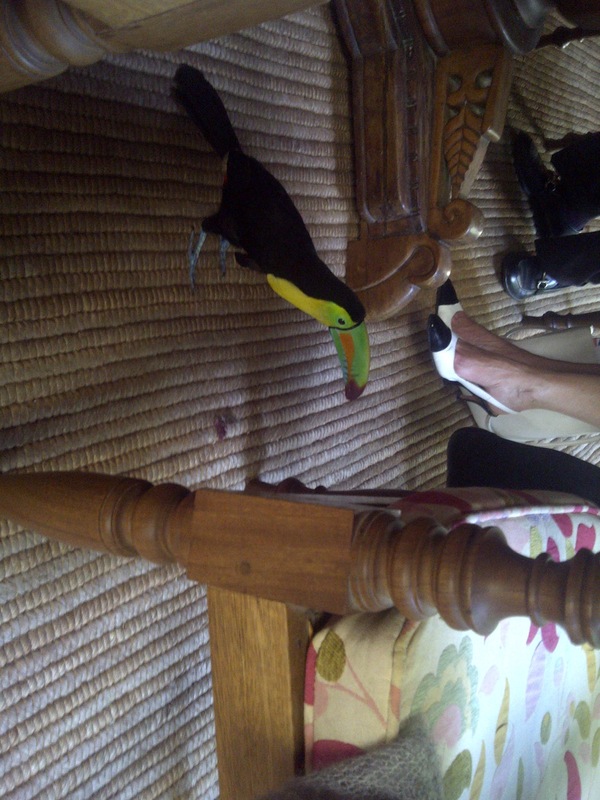 Doesn’t everyone find a toucan under her table? Colombia happens to be the second most biodiverse country in the world after Brazil, and its proximity to both the Atlantic and the Pacific, four mountain ranges and vast plains, as well as thousands of miles of rainforest, exerts a powerful hold. In his Bogotá studio, for example, artist Pedro Ruiz showed me his latest paintings of giant red poppies, some with a tiny, illicit crop-eradication plane flying across the canvas trailing a long tail of smoke. He paints in the tradition of magical realism most famously propagated in books by Colombia’s literary maestro, Gabriel García Márquez. Ruiz often depicts a solitary black man holding a pole at the head of a canoe. The canoe’s cargo might be thousands of cascading butterflies or dozens of species of native birds—exotic bounty that is meant to portray the fading collective memory of millions of people who have been displaced from a traditional way of life. Yet after decades of violence and negative publicity, today Colombia is thriving; 4,000 hotel rooms are currently under construction. To someone like me, who has been in and out of the country for years, the energy is palpable. Colombia feels totally on the verge—yet for so long, whenever I told people I was on my way there, the only thing they ever wanted to know was if I would be safe. 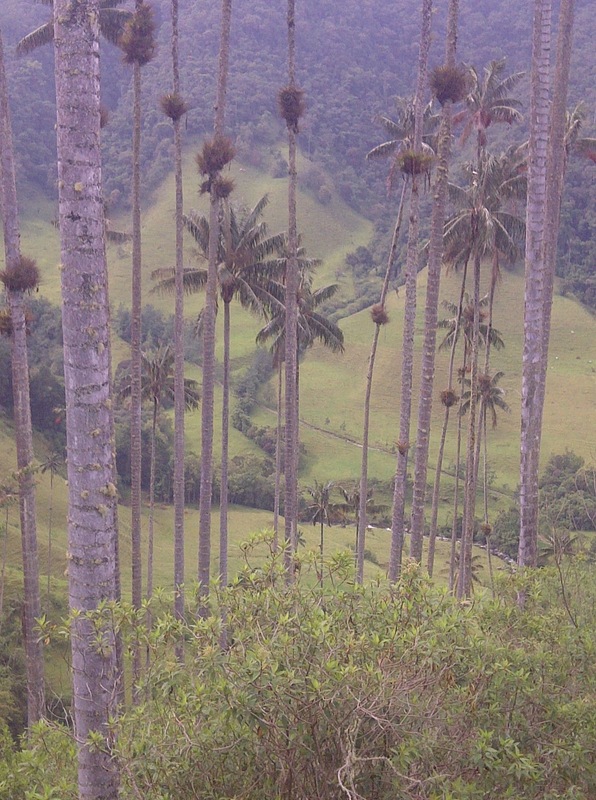 My journey to the country began more than four decades ago as a Peace Corps volunteer in Medellín, the “city of eternal spring,” before it was awash in cocaine. It was then that I rode on horseback across rivers, spotting parrots and monkeys in the trees; that I learned to dance the cumbia and the paso doble; that I was introduced to all classes of the country’s vibrant people, as regional in their dialect and cuisine as, say, Italy. Such a strong experience early in life obviously leaves an indelible mark. Colombia captured my heart then and has long kept me in its grip, even when I despaired of its drug wars, its social inequality and its bloodthirstiness. How could such a warm and polite people also kidnap and murder with such impunity? Nevertheless, despite suffering nearly half a century of guerrilla warfare and more recent natural disasters due to climate change, Colombians still rank as one of the three happiest populations on earth, according to the New Economics Foundation’s Happy Planet Index, together with Costa Rica and Vietnam. And today I do feel safe, although I take the same precautions I would in any new environment, avoiding areas where government presence is weak and drugs still hold much sway. I go several times a year now to oversee a foundation I established in 2005 to teach English and leadership skills and provide laptop computers to underprivileged children. It’s an outgrowth of the school I helped build as a volunteer in the mountains above Medellín, which was named for me: Escuela Marina Orth. 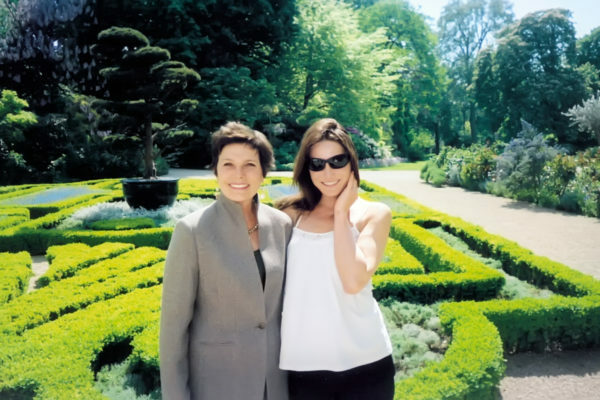 The Marina Orth Foundation began during the mayoralty of Sergio Fajardo, a dynamic Ph.D. in mathematics who made education of the poor and public design to benefit social good hallmarks of his administration. He is now the governor of Antioquia, of which a transformed Medellín is the capital. Fajardo’s term also coincided with a drastic reduction in crime and an increase in security championed by former Colombian president Alvaro Uribe, who left office in 2010. Uribe’s successor was President Juan Manuel Santos, a former defense and finance minister who recently announced peace talks with the Revolutionary Armed Forces of Colombia (FARC) and has launched major initiatives to promote international business and tourism, including hosting the Inter-American Summit last spring in Cartagena with 20 heads of state, among them President Obama and Brazil’s President Dilma Rousseff. “It blew everyone out of the water to see how well Colombia was able to pull it off,” says Laura Botelho, Marriott Hotels’ head of public relations for the Caribbean and Latin America. Marriott is currently building two new hotels in Cartagena and Cali, Colombia’s third-largest city. I was at the summit, too, and thought—what a great time for a ten-day adventure. So I checked out the cities I know best—Medellín, Bogotá, Cartagena—revisited new travel destinations like the coffee country and took in exciting first-time sights like the Caribbean coastal range. Though Bogotá has the most foreign travelers, Cartagena is surely Colombia’s greatest attraction, constantly hosting cultural festivals and opening small hotels, one outdoing another in the artful use of haute Spanish colonial: stone, stucco, wrought iron and gargantuan flamboyant floral arrangements. The city began 500 years ago as a gold and slave market protected by harbor fortresses erected by the Spaniards and later attacked by the English, notably Sir Francis Drake. In my youth, a great part of Cartagena’s charm was its languor. The city lay mostly decaying and neglected, known for long, hot afternoons and rummy nights near the ocean, but its beaches were never as good as its nightlife, and that still holds true today, where so many mojitos and dinners of fresh fish with coconut rice are served on dramatically lit rooftop terraces under the stars. Cartagena really began to rouse itself a bit only in the late 1980s and early ’90s, when, according to locals, it became known as a safe zone and quick exit point for rich Colombians who did not want to abandon their country entirely. In 1995, when a former convent that once housed the city penitentiary was transformed into the beautiful Hotel Sofitel Santa Clara and García Márquez built a modern house next door, luxury tourism began. But there is also another noteworthy change happening, not only in Cartagena but throughout the country: the return of the young diaspora, many sent out of the country by their families to grow up away from the violence, others leaving simply to study and live abroad. Now they are coming home to put their own stamp on Colombia. One of the most picturesque small hotels in Cartagena, Hotel Tcherassi, is owned by the comely Colombian fashion designer Silvia Tcherassi. Its restaurant, Vera, is Italian, and the setting could not be more artful: a thin indoor waterfall is pressed between two panes of glass and forms the backdrop of the cocktail area, where there is an intimate seat for two on a small stone island in the water. Though the service can be spotty, the carpaccio is delicious, and I had fun chatting with the 33-year-old chef, Andrés Fernando Hoyos. Born in Bogotá, he spent seven years in Europe, during which he attended school and apprenticed in two three-star restaurants in Spain. His approach is nothing if not sustainable. “I buy fish from small local fishermen, not just big distribution centers,” he tells me. And his vegetables come from local gardens of the poor seeded by funds from the Clinton Global Initiative. Maybe that’s why Hillary Clinton kicked up her heels and danced the night away at Café Havana when she was in town. Near Vera is Casa Chiqui, an interior-design store carefully curated for the big houses of the rich. Chiqui de Echavarria, its owner, can often be found at La Vitrola, the main venue to see and be seen. Cartagena gets more exciting each time I come, but now it’s so popular that its sleepy country cousin, Santa Marta, is also beginning to transform into a tropical hot spot. The ride, four hours north along the coast by car, really illustrates the dilemma Colombia faces as it becomes more prosperous and desirable: Large pipelines from the country’s fast-expanding oil business feed into big tanker ships, and a real tug-of-war is looming to determine which side will prevail—those who want to develop this stretch of the Caribbean coast for tourism or those who want it for big oil and coal. What I like best about Santa Marta, however, is its quaintness in the face of potentially explosive growth. The sibling owners of the spacious, newish restaurant Santa Mesa used their grandfather’s piano as part of the decor and had their mother hand-embroider monograms on all the linen napkins. Santa Marta is known as the gateway to Tayrona National Park, a vast jungle preserve sheltering more than 300 species of birds that stretches along miles of mostly deserted beaches, arrived at only by foot or on horseback. 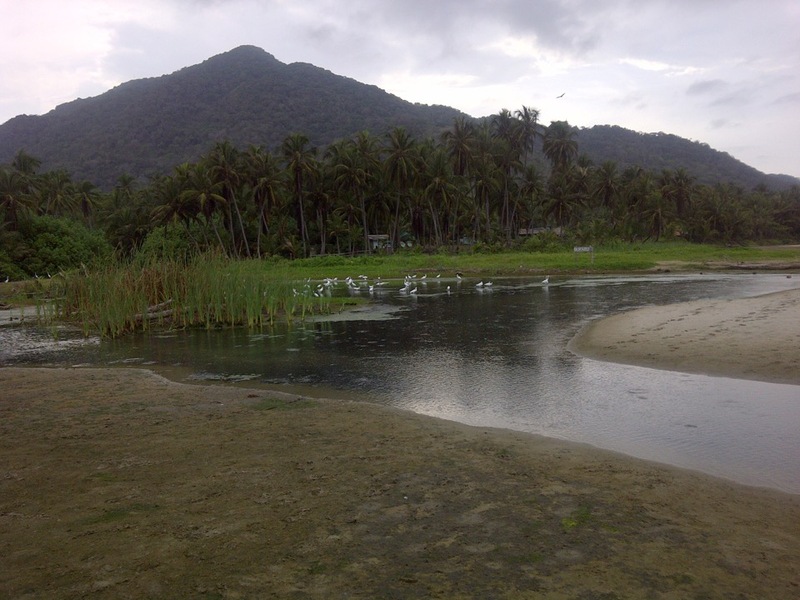 The Sierra Nevada de Santa Marta is the highest coastal mountain range in the world, and the frigid streams that supply water to the Kogis and other indigenous people eventually empty into the warm sea here. Egrets, flamingos and crocodiles wander the wetlands while cotton-top tamarins swing from the twisted banyan and palm trees above. As I wandered trails, it was exciting to look up and suddenly see endangered monkeys scampering around in their natural habitat. From the Caribbean coast, I flew to the coffee country in the middle of Colombia via Bogotá, to its east. The region actually compromises parts of three departments, and to my surprise, the once quiet, medium-sized city of Pereira, where I landed in the department of Risaralda, now has a Mercedes dealership, and nearby country houses of local gentry are being converted to bed-and-breakfasts of varying degrees of luxe. The first afternoon, I drove with a young guide about an hour and a half northwest to the Santa Rosa de Cabal hot springs. 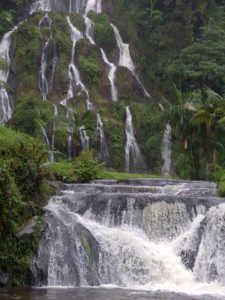 The mineral water is piped from a short distance away into manmade pools at the base of a high waterfall privately owned for more than 60 years by the Arbelaez family, who maintains a cozy spa and restaurant there. The weather was cool and misty; the short hike in followed a path of moss and stones next to rapids with low-lying falls that shot like bullets through black stone. The yellow daylilies and purple princess flowers were an arresting juxtaposition to the dramatic tropical foliage, like colocasia (elephant’s ear plants). There were only a few Colombian visitors around at the end of the day and several hot pools in which to soak. 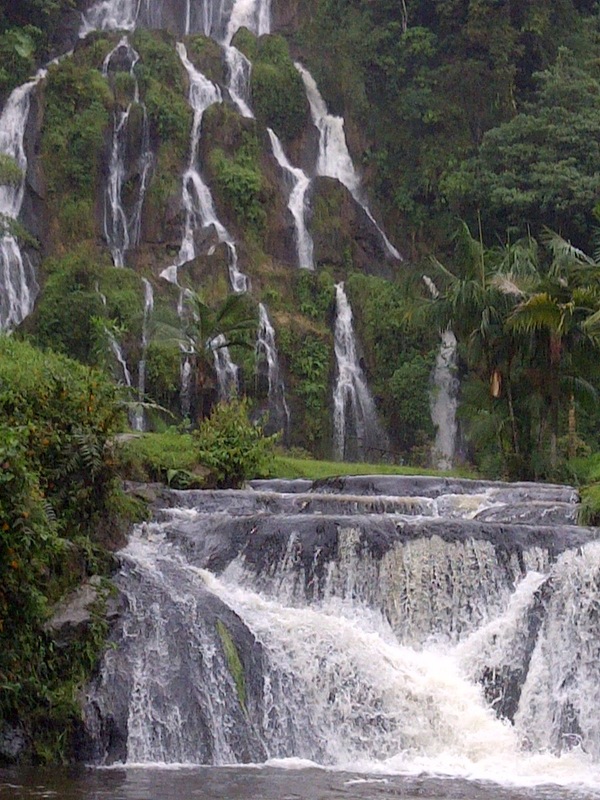 I was even able to get a foot massage while staring at 20 shades of green and watching wisps of cappuccino-like froth flutter off the tips of the falls. It was practically a meditation. 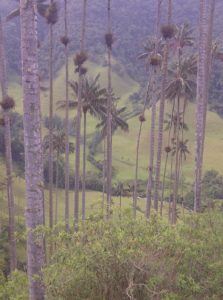 The next morning, an hour in the opposite, southwest direction, I hiked the truly spectacular Valley of Cocora in Los Nevados National Park, with its unique wax palms that grow to more than 100 feet and live a hundred years. At 8 a.m. I had the whole majestic scene to myself: white morning mists hanging suspended in ravines and softly folding up against the yellow-green mountains. It amuses me to think of just how much ingrained prejudice I have held against Bogotá all these years, instilled in me as an adopted paisa, the name for people born in Antioquia, especially its capital, Medellín. Bogotanos were considered stiff, boring and aloof; the city’s climate was dreary, like London, and 40-plus years ago, upper-class Bogotanos behaved as if they wanted nothing more than to be considered just like English gentlemen, complete with bowler hats, dark suits and ever-present rolled-up umbrellas. Bogotá touted itself as the “Athens of Latin America,” and to be a poet was its highest accolade. On the other hand, Bogotanos thought paisas were crass and commercial, hardworking, yes, but for what? Money? Ugh. While Bogotá stays fixed at an altitude of 8,660 feet, today it’s much warmer and a lot looser. It would have been unimaginable when I was 21, for example, for it to have a wacky, artistic restaurant like Andrés Carne de Res on its outskirts, as it does now, or the stylish bistro El Bandido, where the waiters wear leather aprons. It still has the formality of being the capital but with a completely different vibe, perhaps because the average age of the Colombian population is now 28. Bogotá’s official Twitter feed has more followers than even New York City’s. I was reminded of how times change when I visited the atelier of Olga Piedrahita, a Bogotá fashion designer known for often treating clothes as pieces of performance art. A recent collection was inspired by photographs taken by Beat Presser on the set of Fitzcarraldo, the 1982 film by Werner Herzog about the mad rubber baron in Peru who tried to pull a steamship across the country’s steep rainforest. Piedrahita’s daughter, Danielle, showed me around one afternoon, and I remarked on the store’s interesting white walls covered in curvy black script. “We had ten literature students come over and write passages on our walls from their favorite books, in any language,” Danielle said. That weekend a huge book fair was going on downtown—Gay Talese was an invited author—and Paul McCartney was about to play Bogotá for the first time. It was also the 80th birthday of Medellín’s favorite son, the acclaimed fat-lady painter Fernando Botero, who chose the city for his celebration. So it wasn’t as if there was nothing to do. And there is quite a burgeoning art scene, featuring mostly modern Latin American artists, at La Cometa Galeria, where I viewed works by Spanish Surrealist painter and adopted Colombian Alejandro Obregón. My favorite traditional restaurant is Casa Vieja, done in the colonial style; my preferred modern spot is Rafael, which features tasty, Peruvian-inspired dishes. So many of these newer places are designed to be able to move effortlessly from indoors to outdoors, making everything more festive. I happen to be a crafts and local-jewelry nut—my go-to shops are Atenea in Bogotá and María Camila Mesa in Medellín—and one of my most pleasurable pursuits has been following Colombian crafts as they improve: for example, the colorful woven indigenous baskets and rare wood utensils that can be used anywhere. Medellín’s José María Córdova Airport is about a half hour outside the city, high up in the Andes near some of the most expensive and rapidly developing real estate in Colombia—the plush area around Rionegro, where acres of chrysanthemums and lilies are cultivated, where Medellín millionaires have their country homes, where a major new hospital that specializes in organ transplants has recently been inaugurated and where multinational corporations like Procter & Gamble are acquiring property. The provincial paisas are known as the capitalists and colonizers of the country, who try harder, get richer and then brag about it—the city has undeniable energy. Riding down into Medellín from the airport at night is often exciting for a newcomer because the car can round a curve and suddenly the whole city of 3.5 million people is ablaze in the valley before you—like a view of Los Angeles from one of the canyons. The city is also famous for its beautiful women, who often appear not so much to wear clothes as to spray them on, and not much at that. The city is still very Catholic, but the chaste cotton dresses of my Peace Corps days are long gone. The body is worshipped: Medellín has been dubbed “Silicon Valley,” and not for its tech community. In recent years the city has won numerous awards and received global acclaim for its “architectural intervention” projects not only to ease the burden of the poor but also to repair the city’s violent image. For almost two decades there has been an efficient and clean aboveground metro rail system, and at one station you can transfer to a suspended cable car that traverses up the mountain to what was once one of Medellín’s most crime-ridden areas: Comuna 13. Today it is a popular attraction. Where the impoverished once squatted on top of the mountain now sits the ultramodern España library, one of several recently built libraries anchoring poor areas, a potent symbol to the residents that they matter. Then there’s the stunning Botanical Garden, which features high circular pavilions of woven wood meant to evoke both flower petals and beehives. I happened to arrive right before the opening of the 40th-anniversary exhibition of the Medellín Orchid Society. Wow. Flowers, birds and butterflies are part of the branding of the city. The biggest annual civic holiday is the city’s own version of the Rose Bowl Parade: the Festival of Flowers, held in August. Today big infrastructure projects, like a new suspension bridge shortening the commute between the city’s western and eastern suburbs, are de rigueur. Yet no matter how much Medellín’s boosters try to bury the past, there are those who cannot resist trying to profit off its notoriety. I was amused when the guide who brought me to the nearby picturesque town of El Retiro, where I could still see and feel that old way of life I had fallen hard for so many years ago, was just dying to get me back to Medellín; he wanted to give me the Pablo Escobar crime tour. He insisted we pull up in front of the once-bombed building where Escobar, the world’s most infamous narcotics trafficker, killed by police in 1993, had stashed his family and was targeted by a rival drug kingpin. More symbolic to me, though, was its location on a residential side street just a few blocks from the sleek new office buildings and malls of El Poblado, which are a testament to Colombia’s rapidly expanding economy and its yearning to be peaceful and prosperous. Instead of listening to the exploits of Escobar, I thought of the girls and boys at my foundation singing in English and learning how to make robots with the help of their computers. That is the hopeful path Colombia has set for itself. Most flights from New York and other major cities go directly to Bogotá, but there are also direct flights to Cartagena and Medellín. I often fly the Colombian airline Avianca (avianca.com), but Delta and American also service the country. Avianca and TACA (taca.com) are best for internal flights. Driving between Santa Marta and Cartagena and on the “coffee highway” is relatively easy but not recommended for longer distances. Taxis are plentiful but should be called rather than hailed; hotel concierges will do this. I advise first-time travelers, especially without Spanish, to hire a guide, like Fabio Quiroz (fabioquiroztourg@hotmail.com), and check out the government tourism agency ProExport (columbia.travel). There are still unsafe areas, particularly to the south and east of Cali and in parts of northern Antioquia. With 4,000 hotel rooms opening in the next few years and restaurants and shops popping up regularly, I see new places on every visit. Here are some of my favorites. Casa Medina Rooms start at $300; Avda. Carrera 7 69A-22, Bogotá; 57-1/217-0288; hotelcharlestoncasamedina.com. The Charlee Hotel Rooms start at $240; Calle 9A 37-16, Medellín; 57-4/444-4968; thecharlee.com. Hotel Sofitel Santa Clara Rooms start at $360; Calle del Torno 39-29, Cartagena; 57-5/650-4700; sofitel.com. Andrés Carne de Res $ Calle 3 11-56, Chía; 57-1/863-7880. Casa Vieja Carrera 6A 117–35. Bogotá; 57-1/213-3246. El Bandido Calle 79B 7–12, Bogotá; 57-1/212-5709. El Cielo Calle 70 4–47, Bogotá; 57-1/703-5585. La Vitrola Calle de Baloco 2-01, Cartagena; 57-5/660-0711. Rafael Calle 70 4–63, Bogotá; 57-1/255-4138; rafaelosterling.com. Santa Mesa $ 1 Calle 17 3-38, Santa Marta; 57-5/421-7399. Vera Calle del Sargento Mayor 6-21, Cartagena; 57-5/664-4445; tcherassihotels.com. Atenea Carrera 11 85–62; 57-1/236-8226. Casa Chiqui Calle de la Universidad 36-127, Cartagena; 57-5/668-5429. La Cometa Galeria Carrera 10 94A–25/31, Bogotá; 57-1/601-9494. María Camila Mesa Tesoro Local 1312, Medellín; 57-4/266-5254. Olga Piedrahita Carrera 14A 82–36, Bogotá; 57-1/622-8681.